I had a game plan today. I was going to wake up early enough to cross off 3 things on my to do list before going to 9am yoga. My computer was near dead when I sat down with my breakfast. I blame sitting on the couch with my kindle on needing to charge it before starting work. There was excuse after excuse after excuse. Usually excuses don’t really work on me. I’m of the mindset, “It’s time to sweat? Let’s do it.” But this morning I succumbed. The reality is I just woke up feeling lethargic and unmotivated. I knew I wanted to sweat today, but couldn’t decide on what I wanted to do. On top of feeling low energy, some frustration kicked in with it. 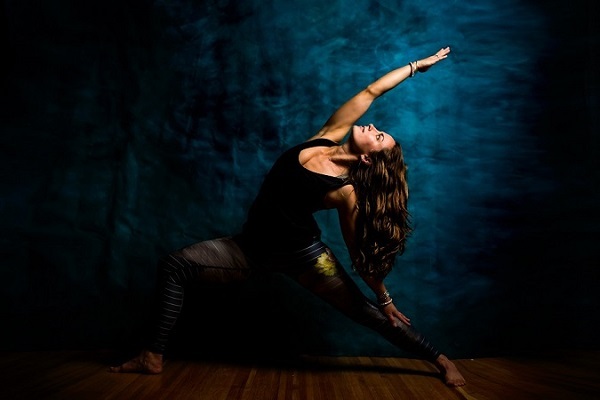 I don’t want to aggravate my hip problem, but as I no longer have a gym membership, my choices outside of yoga and running are a little more limited. And I think diving back into my two favorite activities pretty hard over the last week is what lead my hip to flare up. I finally made a cup of coffee, which must have gotten the neurons firing. 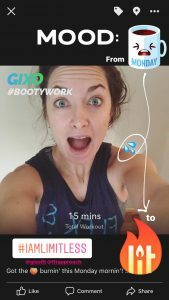 I checked the day’s workout schedule for Gixo. Before my lethargy could change my mind, my finger pressed the “sign up now” button for a booty work class that started in 40 minutes. And I have to say, it did exactly what I was hoping it would. Trainer Emily got us squating, lunging, and pressing. Basically my glutes were burning and sweat was flowing, and all in just 15 minutes. AND I didn’t even have to leave my house. More importantly, I immediately felt better! I sat down at the table to sip on the rest of my now-room-temperature cup of coffee and felt revved for my to-do list! Two hours just flew by as my fingers raced across my keyboard and my mind attempted to keep up. It’s just midday here in Portland and I feel like I’ve accomplished so much already. And all thanks to 15 minutes of sweat and burning booties to get me off the couch, shake off the Monday blues, and kick start my day! It got me feeling so good, I’m signed up for round 2 today! Want to workout with us? I’m going to join Jamie and Nicci for the 3pm Endurance Walk or Run. I’d love to get in a run, but am trying not to attach to hard to that idea. Regardless if my hip lets me run or not, I’ll be out moving and sweating with my fitfam! 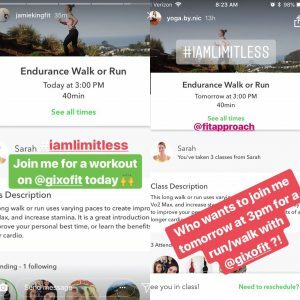 The #IAmLimitless challenge with Gixo kicks off this week, and I couldn’t be more excited! Four weeks of sweat, inspiration, and community. What could be better than that? Join the challenge now! Disclaimer: Thanks for keeping us sweaty and inspired, Gixo! All opinions expressed are my own. You can always come walk with me and Abbie today :). You’re amazing, you had a huge weekend, don’t feel bad about one morning off! Sounds more necessary than anything else. I DEFINITELY need to get in on some of your walk dates. 😉 YOU’RE amazing! It was a great weekend, and, turns out, a great Monday! 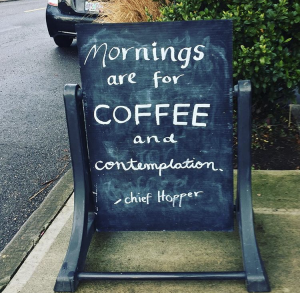 Sometimes mornings off happens… Just don’t be like me and skip a lot of mornings in a row. I am back at it now but I skipped a lot. Now I need you to keep motivating me! I know the feeling quite well…. With it being a Monday, you feel like you have to do it all and start the week strong, but our lives and schedules are quite different from the M-F 9-5ers… Glad you got your morning AND your sweat on. And SO glad we got a virtual sweat in there as well.